This piece from 2014 is also still relevant. As we watch destruction all around us we might ask if something good can come from it. The answer is that it is up to us. Long ago, artists were called on to, more or less, represent the world around them in some form that ennobled the subject at hand. In the Baroque Era, paintings usually depicted either the ruling class or the saints in ways that made mythologies of power real. Music was used to provide dignity to a setting or to magnify the glory of God himself to every heart that pounded along with the moment. Not today. An artist today is supposed to be someone who pushes the boundaries of our world by creating a new understanding of what it means to be human. The mythology is something otherwise dormant within us. 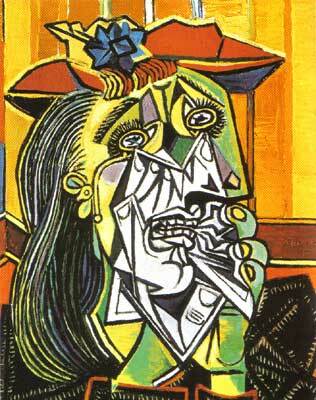 That makes the statement by Picasso, a creator and master practitioner of this view of art, even more troublesome. 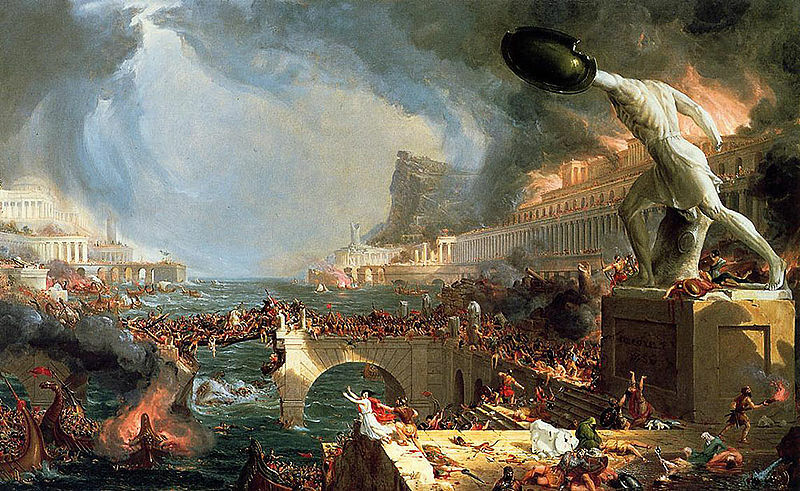 When the first generation of Romantics tried to paint or sculpt or compose art that laid bare the inner essence of humanity, the act of destruction was one of the most appealing parts of the process. They were rebelling against the authorities of the time, the very people that employed artists just one generation earlier. The creation of what we’d call a “Rockstar” was easy enough because artists were more interested in what made people than what made great figures of authority – the adoration of the masses was a validation that they were onto something. Who needs the ruling class, anyways? 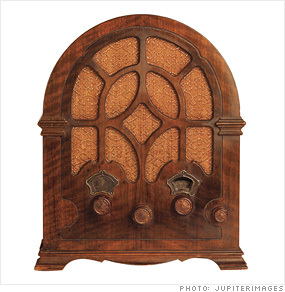 Radio brought news and music to everyone’s home. The good life was democratized. The creation of mass media brought literature, visual art, and eventually music into everyone’s life within a century of the first blossom of these ideas. By the end of World War I, inherited nobility was more or less dead, killed off because they were no longer needed. Art moved on to react to the world that it had helped to create, often depicting how people stood up to grey oligarchies of the industrial world. Once again, forward progress by rebelling against the establishment was easy because the flaws were obvious. Destruction of what we had was still desirable. Today’s world is much more complicated in part because the visions of so many generations of artists and romantics has been largely realized. Mass media tends to come from a part of the world we call “industrialized”, and in this world people are freer than they have ever been before. They make most of the decisions that influence their lives, elect their leaders democratically, and generally can be anything they want to be. The popular mythologies do not involve power or glory but images of freedom. If an artist is going to explore the boundaries of what it means to be human, as they have been called on to do for about 200 years, they necessarily have to contrast a new idea with what people experience in their everyday lives. They have to rebel. They have to destroy, or at least be wiling to destroy. What is the opposite mythology of universal freedom? Crumble up that piece of paper and start over. No one said art was easy. Much of what we see in art today is a belief that everything is broken – and that it may fail violently. This is especially true of film, but it appears in many parts of popular culture. Call it popular doom, or nothing more than a mythology that is a reaction to a feeling of powerlessness. Other reactions include false nostalgia and, hopefully, a desire to organize and get to work fixing the problems at hand. In all of these cases the central problem appears to be that people don’t generally have the kind of control over their lives that they thought they have been promised by popular mythology built up through two centuries of creative expression. One thing about popular doom is clear – it’s been with us more or less constantly since the Cold War. Episodes of “The Twilight Zone” and “Star Trek” presumed that, sometime before about now, a nuclear holocaust would have vaporized much of our civilization. When that didn’t happen, popular doom moved on to climate change, over-population, Y2K, government takeover, economic collapse, and more recently a bizarre cocktail of pseudo-Mayan prediction and geo-solar events. All of these have some basis in reality, yet all of them take it to a mythology that stresses destruction rather than creation. Perhaps Picasso was very wise. If we are on the verge of developing a new mythology that gives us a new reason to be hopeful, perhaps we have to endure the destruction of the old ways first. It’s not pretty, it’s not a lot of fun, but it might be necessary. Let’s wallow in the popular doom, false nostalgia, and other ways of feeling sorry for ourselves just a bit longer. Who knows what will come of it? First, however, there is destruction. It is the popular mythology of the day. This entry was posted in People & Culture and tagged destruction, renewal. Bookmark the permalink. I think we’re witnessing the pain of being global. We’re supposedly free, but also insecure. We’re individually special but feel irrelevant among billions. We should thrive but mostly we compete, consume, and conform. We need a new romanticism in art to tell us how to live life fully as human beings. Rebellion against our somnambulistic and repressed reality will follow.